1024.00 sqft. - 2686.00 sqft. Live the Easy Life in OMR. 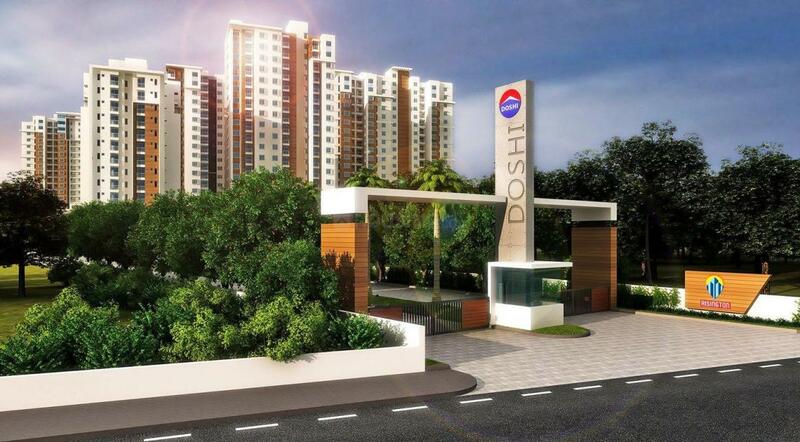 Doshi Risington CMDA Approved Residential project in OMR Chennai is developed by Doshi Housing spread across 11.5 acres of land consists of 496 apartments of various dimensions 1BHK,2BHK,3BHK,4BHK flats for sale in OMR with WOW factors within budget which will provide you joy of community living at the heart of the city. 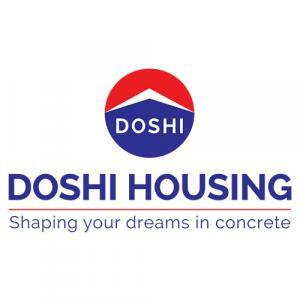 Doshi Risington has compact 2BHK flats of 1024 Sq. ft and 1027 Sq. 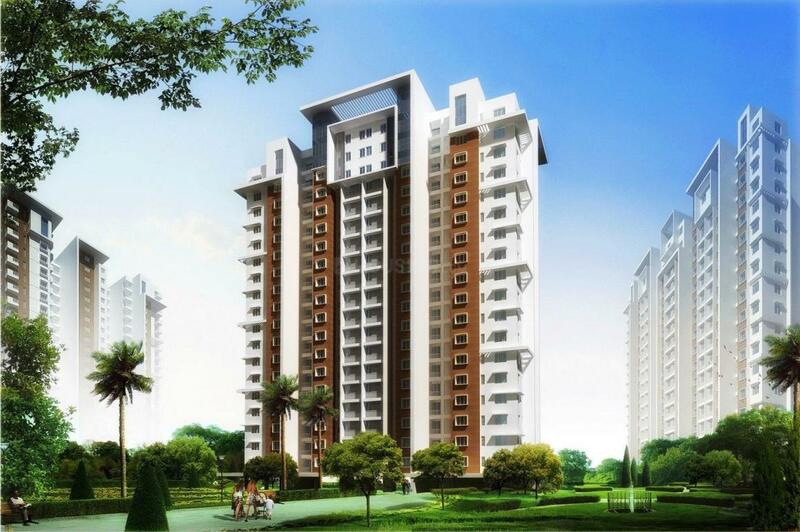 ft, more spacious 3BHK flat thatt area spaciously planned thoughtfully designed 4BHK flats size varies from 2616 Sq. ft to 2686 Sq. ft,a project has classy architecture, unbelievable amenities and contemporary design to make residents life hassle free. 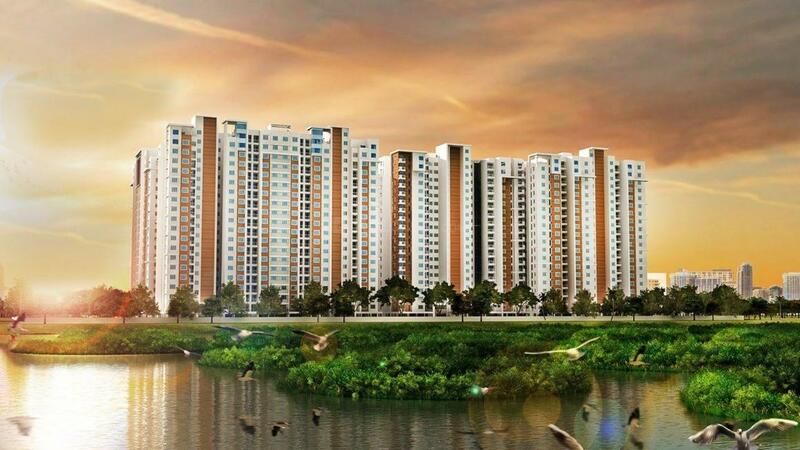 Get these un believable apartments for sale in OMR, Chennai. One of the perfect places that will take your lifestyle to the next level. This project provides the connectivity to key locations of the city like Adyar, Thiruvanmiyur and Perungudi, and renowned Hospitals, Educational Institutions are in the proximity. You can reach other parts of the city through the public and private mode of transportations. Enchanting surroundings, thoughtful planning, choice of homes, unbelievable amenities make it an ideal place for living. majority of the apartments have clear views of open spaces, a peaceful zone in the heart of New Chennai where everything within hands stretch and big names in IT like HCL, TCS, Accenture, Paypal along with several leading corporates are also there in OMR. Doshi Risington provides eye catching amenities like Fish Pond/Bird bath, Gazebos, Kids Pool, Banquet Hall, Cricket Pitch, Business Centre, Departmental Stores, Coffee Shop, Creche and more to make residents life easy and enjoyable at this beautiful place. Karapakkam is an upcoming locality in South Chennai, adjacent to the suburbs of Sholinganallur, Madipakkam, Selaiyur, Keelkattalai, Velachery and Tambaram. Located close to the IT corridor (Rajiv Gandhi Salai) at OMR (Old Mahabalipuram Road) and the SEZ in Sholinganallur Road, this locality has emerged as a favorable residential destination in Chennai. Owing to its accessibility and connectivity to other major parts of the city, Karapakkam has been high on demand for residential space. It offers seamless connectivity to OMR and Sholinganallur Road. The major roads linking to Karapakkam junction are Velachery, Tambaram, Medavakkam-Mambakkam and Medavakkam- Sholinganallur Roads. Chennai International Airport, Velachery MRTS, Tambaram and St. Thomas Mount Railway Stations are located at a short driving distance from this area. Also, all prime areas on the GST Road are easily accessible from Karapakkam including Chrompet, Pallavaram and St. Thomas Mount. To boost the further connectivity of the location, the CMDA has proposed to develop 200 ft Outer Ring Road from Karapakkam to Sholinganallur (OMR) via Jalladianpet and Pallikaranai.